Accidents and injuries happen all the time, in many cases without notice. When bad things happen, you don’t always have the time to run and grab a first aid kit when the seconds count. It is for this reason that, every pack should have a Personal First Aid Kit (PFAK). Whether for every day carry, backpacking, or even bugging out. Our PFAK setup, has the capability to manage minor aches and pains but more importantly major bleeding as well, something most compact kits on the market overlook. In our checklist below, we have assembled a list of supplies to provide a wide range of capabilities while minimizing kit size and weight. 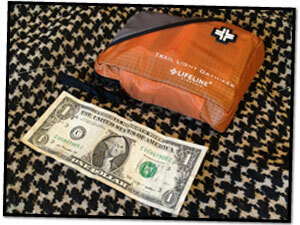 It is small enough to through in your daypack , hiking bag, or purse. At just under 8 ounces, it won’t weight you down. Our free checklist will help you build your PFAK without breaking the bank so you are prepared when you need it the most. Looking for The Best in Bleeding Control? While the PFAK does provide medical supplies for major bleeding control it is designed to focus on compactness and being lightweight while providing a good capability to weight ratio. For the best management of severe bleeding injuries, see our Improved First Aid Kit (IFAK) Checklist. 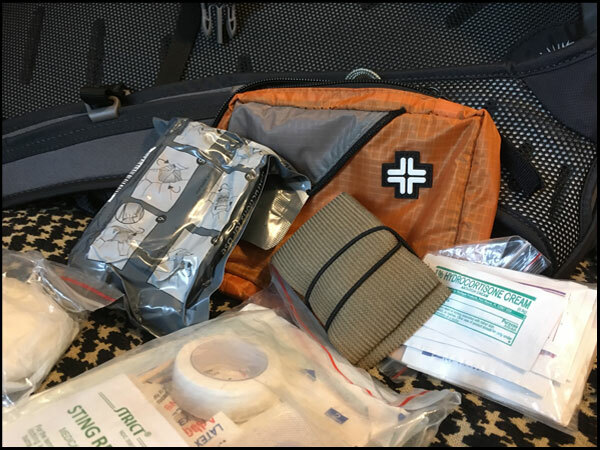 The IFAK is small in comparison to a trauma bag and can fit in a cargo pocket, it is not build for compact carry. It is designed specifically around hemorrhage control and penetrating trauma. It requires more space and is heavier than the PFAK. There is no way around it, for more hemorrhage control capabilities, more volume and weight of supplies is required. Remember, your tools are useless if you don’t know how to use them. Taking a first aid course locally is a great start for learning how to properly utilize your first aid kit. The Red Cross offers training through instructors nationwide. A wilderness first aid course is also a great option and can be easily coordinated through REI or other outdoor outfitters in your area. Follow this up with a training on Bleeding Control (BCON) or an IFAK Lifesaver course which can be found in your area by contacting your local first responders or emergency medical provider. Bottom line, build your toolkits and train with them! Note: The information provided in this article is intended for your general knowledge only and is not a substitute for professional medical advice.